Those viewers with poor eyesight might not be getting the benefits of HDTV, according to latest reports from opticians. The Telegraph reports this week that: "Many consumers are wasting hundreds of pounds on HD equipment when they may as well be viewing a conventional screens," it is claimed. The report cites a survey for Vision Express that claims 60 per cent of Britons have not had an eye test in the past year. Which sounds suspiciously like one of those 'specially commissioned' surveys that is designed to perfectly promote the company's PR line (colour us cynical, if you will!). "Even a marginally short-sighted person sitting on a sofa watching an HD broadcast may not see the full benefits in enhanced image quality," according to Vision Express optician Phillip Hyde. "A small change in prescription can potentially make a big change in the quality of the picture that you see. 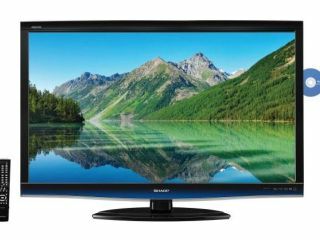 If you're investing in HDTV, you ought to have your eyes checked to make sure you get the full benefit." Vison Express's chief exec Bryan Margrath took the rare opportunity to promote his eye-test in the national press, by sapiently adding: "We're living in high-definition age and we should do all that we can to make sure that our eyesight matches up." "If awards were given out for stating the bleeding obvious, this 'revelation' would be top of the list," said Jake Day-Williams, editor of What Video & Hi-Def TV magazine. "What next? Mr Sheen highlighting how Full HD isn't worth bothering with unless owners utilise its polish every day to get rid of dust? "This is undoubtedly a cunning marketing ploy on VisionExpress' part and has nothing to do with the advantages of HD. And clearly it's worked as we're all talking about it."